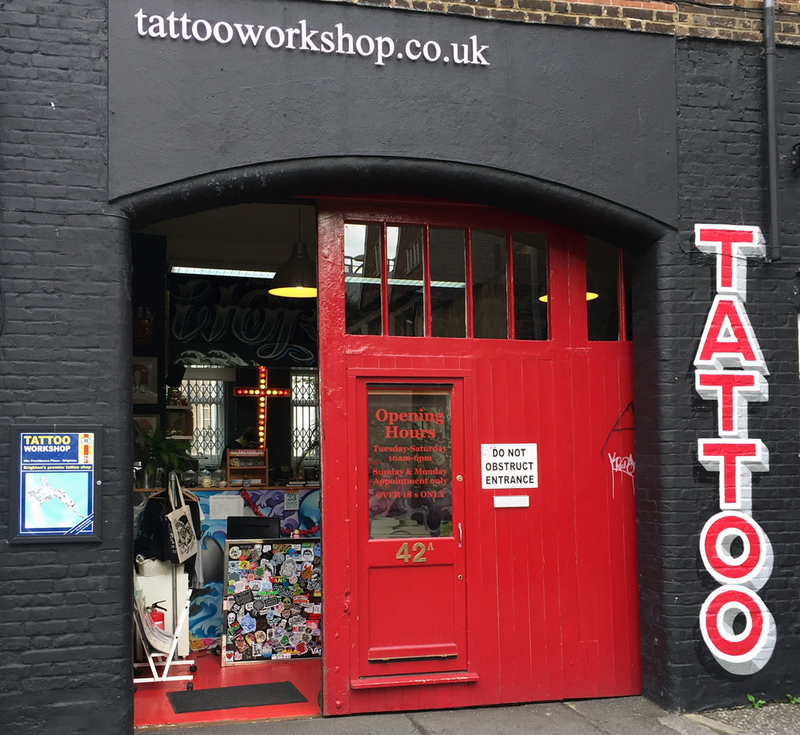 Tattoo Workshop is a bright, open and welcoming tattoo shop, in the heart of Brighton and Hove. Established in 2007, by Stewart Francis, we offer a friendly and professional tattoo service, by machine or by hand. We have 5 full-time artists, all with their own distinctive styles and we also host regular guest-spots for visiting international artists. Located a 5 minute walk from Brighton train station, our artists specialise in realistic black and grey work; traditional and neo-traditional tattoo styles; Japanese tattooing and tribal patterned designs. Get in touch with us if you’d like to book in for a consultation for a bespoke tattoo, or feel free to pop for a chat during business hours. Walk-in appointments for smaller pieces and traditional ‘flash’ are always welcome, subject to availability.